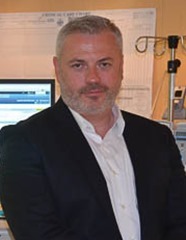 eolas talks to Aiden Malone, Senior Director, European Consulting for Cerner, about transforming healthcare and Cerner’s journey in helping apply technology to reduce deaths from sepsis. Sepsis kills 37,000 people in the UK each year. 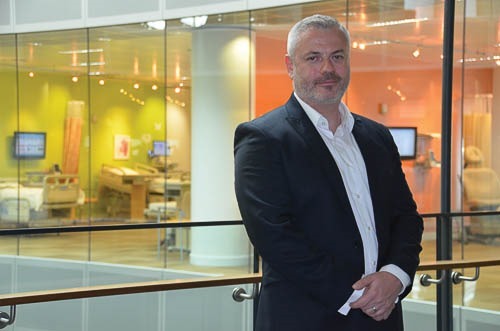 “That is the same number of people that run the London marathon each year,” observes Aiden Malone, Cerner’s Senior Director of Consulting in London. Sepsis is basically the body’s overwhelming immune response to an infection. This can lead to decreased blood pressure reducing blood supply to the body’s vital organs that can eventually lead to multi-organ failure and death. It is essential sepsis is diagnosed and treated quickly with fluids and antibiotics to save lives. As with all healthcare delivery, Malone emphasises that there are three elements to delivery; people, process and technology, and all these elements must mesh together to deliver the right patient outcomes, particularly with urgent conditions that can be difficult to identify such as sepsis. Some of the hospitals Cerner has worked with, such as Marina Salud in Dénia, Spain, are completely paperless, where staff interact with technology in real time and mortality rates from sepsis have reduced by 40 per cent. The work at Marina Salud started with the capture of information in the form of the electronic patient record “routinely and as easily as possible and in real time”. Cerner CEO and founder Neal Patterson started up the healthcare IT company in 1979. Neal has talked openly about losing his sister-in-law to sepsis several years ago. While we know we can’t bring back “Linda or other loved ones who have died from sepsis,” he challenged the company to create state-of-the-art systems that help expose likely cases of sepsis to caregivers, with the goal of preventing the next needless death. “He wanted us to make it systematic that events that harm people are exposed to the appropriate caregivers and eliminated. He asked us to implement the sepsis rescue agent in all our clients worldwide.” Ireland has one of the highest levels of sepsis after abdominal surgery. OECD statistics published in 2013 for 2011 show 3,000 cases per 100,000 of sepsis after surgery which compares with a figure of 1,200 per 100,000 in the US. With the sepsis project, the technology implementation are “fairly straightforward, but it is dependent on the EPR being implemented and used in real time,” says Malone. “It is the people and process aspects that are the challenge.” He advocates paying attention to staff training and ensure that they have access to the right equipment. The governance and processes must also be aligned to ensure successful implementation of any project. Looking to the future, he sees an increasing emphasis on population health “beyond the four walls of the hospital” with the next layers of development around information flows between community care, GPs and hospitals. Malone has worked on one major project in the UK around A&E workflows which he says is relevant in an Irish context. The project identified nine different improvement factors for A&E ranging from portering service to optimised orders set to optimising the triage process. Dublin-born, Aiden Malone is Senior Director, European Consulting for Cerner Ltd, based in London. He started as an IT manager in the Dublin Dental Hospital before working for GE Healthcare, where he led Six Sigma lean projects. A graduate of Trinity College Dublin, he has an MSc in Health Informatics. In his seven years with Cerner, he has overseen several large scale healthcare transformation projects.